A Christian cleric in the South-western part of Nigeria has forecasted the outcome of the forthcoming gubernatorial election in Ekiti State. This is a viral video of a church pastor who revealed to his large congregants that a former governor, Kayode Fayemi would be the next governor of Ekiti State. "Before I preach, many people have been calling me, they said they want to know who will be the next governor in Ekiti State. Well I said that there is no problem. 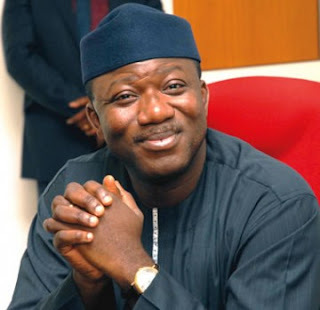 Without any hesitation, I just told them that Kayode Fayemi, APC will take over Ekiti" he said. The election which will hold later this month is expected to be a tough contest between Olusola Eleka of the Peoples Democratic Party and ally of Governor Ayodele Fayose and Fayemi of the All Progressives Congress.